Continual development by Landis+Gyr’s Australian engineering team allows the EM1000 to deliver enhanced single phase interval meter performance & functionality to Australian customers. Expanded interval data capacity, reduced communication times, ease of programming and installation make the EM1000 an advanced metering asset that can deliver substantial returns for Meter Asset Managers. The EM1000 stores 282 days of 30 minute interval data in load profile to measure residential energy consumption. The EM1000 utilizes advanced data compression protocols & fast 38k4 baud rates to deliver ANSI optical port download speeds of less than 5 seconds for 90 days interval data. An RJ45 RS232 port enables easy remote communications. Compatible with the popular EMProHHU & EMPWin, the EM1000 provides metering technicians a swift learning curve on its features, functions & applications. 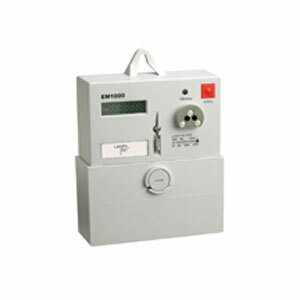 As the EM1000 is TIM file compatible, its inclusion in common meter reading systems is simple and convenient. A compact design and M series bottom mounting holes make the EM1000 easy to install on Australian meter boards. Built-in quality & reliability of supply are paramount to Landis+Gyr. Our ISO9001 and ISO17025 certified assembly & testing facilities are part of the world’s largest metering group and our operations are supported by the World's best component suppliers.